February 22, 2018 — Huntington Ingalls Industries reports that its Newport News Shipbuilding division has built 70 percent of the structures necessary to complete the nuclear-powered aircraft carrier John F. Kennedy (CVN 79). Like its predecessor, the first-in-class USS Gerald R. Ford (CVN 78), Kennedy is being built with a modular construction technique. 23:02:2018 Subic Bay, Philippines: Due to the cancellation of the Subic Boracay Race and Cup, the organisers are keeping in step with the long passage race and inshore regatta format, have come up with the Subic Bay Around Verde Island Passage Race and the Subic Bay Cup Regatta. The SBVIPR is a tough 200-mile race from Subic Bay, down the coast past the entrance to Manila Bay, to the Verde Island Passage between Luzon and Mindoro, rounding Verde Island to Port and back to finish in Subic Bay. It’s a very challenging course and has many obstacles along the way, including navigating through the wind shadow of the Bataan and Batangas Mountain Ranges plus strong tidal currents on both the outward and return legs. 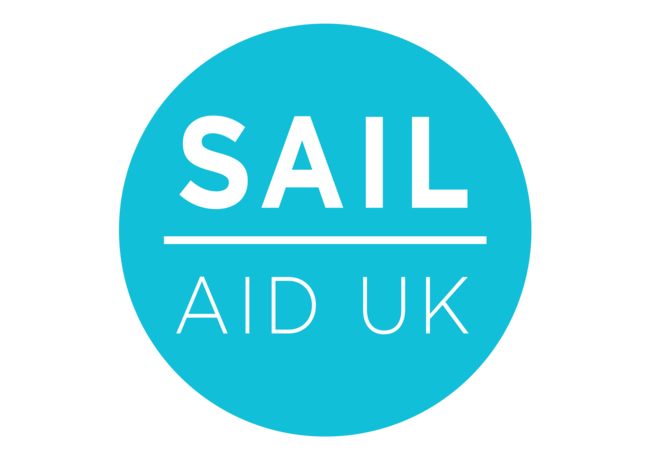 The Trustees of Sail Aid UK (SAUK) are delighted to announce approval of the charity’s first three grants, totalling GBP £15,000, to the Anguilla Sailing Association, the Virgin Islands Sloop Foundation and Adopt a Roof BVI. February 21, 2018 — Baltimore, MD, headquartered Vane Brothers Company has taken delivery of the first of three new ATB tugs from Conrad Shipyard’s Orange, Texas, yard. The first tug, the Assateague, will be mated to an 80,000-barrel barge being built by Conrad Shipyard’s Amelia facility. Also cracking a smile on the dial, is Chris Mitchell and his Naut 40 Lady Bubbly, after winning 5 of the 6 races at the Neptune Regatta, have extended their lead in the AYGP Skipper Rankings and take over the lead in the AYGP Yacht Rankings from Otonomos Mandrake III by 7 points. It has taken 5 regattas to accumulate 52 points and as they aren’t planning on contesting any more events, set the benchmark for the others to beat. Racing now moves over to the Philippines for the Subic Bay Around Verde Is Race & Subic Cup (Feb 23rd – March 2nd) and back to Hong Kong for the Rolex China Sea blue water classic, which is quickly followed by the Commodores’ Cup (April 3rd – 7th) in Subic Bay, to complete the Eastern Circuit. The final two regattas Top of the Gulf (27th April – 1st May) held at the 2017 Best Marina award winning Ocean Marina and Samui Regatta (26th May – June 2nd) are centrally located in the Gulf of Thailand and are accessible to yachts from the both the Eastern and Western Circuits, for the final showdown and presentation of the prestigious 2017-18 AYGP Skipper and Yacht of the Year awards. Check out the 2017-18 AYGP Rankings, by clicking on Skipper – Yacht – Regatta and Scoring System. If any of your friends would like to freely Subscribe Online to the fully automated AY Circulation List (Click Here…) Fill in the details and submit. Don’t forget to respond to the system generated email, at the email address entered, to complete the free subscription process. February 20, 2018 — According to the U.K. Ministry of Defence, the HMS Ocean has been sold for around £84 million (about $118 million) and the profit generated from the sale “will be reinvested in defense at a time when the Royal Navy is being strengthened with two types of brand new frigates and two huge aircraft carriers.” The first of these new carriers, HMS Queen Elizabeth, will eventually take on the role as the nation’s new flagship. 16:02:2018 Neptune Is, Indonesia: Fully recovered after the lay-day, all the crews were back out on the water and ready to go. PRO Jerry Rollin devised a new course, starting from West to East and basically twice around Neptune Island, in a wide arc, to the extremities of the surrounding islands. Although the North Easterly breeze has been decreasing throughout the week, 8 to 10 knot gusts sent the fleet briskly on their way. Overcoming the incoming current was the next obstacle and as the breeze turned patchy on the return leg in the lee of Neptune Island, the decision to shorten the course was met with resounding applause.